Friday’s bombing in Oslo and shooting rampage on the idyllic Utoeya island demonstrates once again that the face of terrorism has no discernible ethnic features. But before the facts were known, news anchors speculated that Islamic extremists had launched the deadly attacks in Norway. More circumspect security experts said suspicion would likely fall on Islamists and right-wing extremists. As a NATO member, Norway’s involvement in the fight against the Taliban in Afghanistan and the bombing campaign to oust Libya’s Khadafy was seen as the catalyst. But Andres Breivik, the suspect in the Oslo carnage, was not part of either any organized Islamist or right-wing extremist plot against Norway. He was just another armed lone nut. When it became known that the attacker was a Nordic-looking man, still other pundits opined that he fit the European type that Al-Qaida was recruiting. 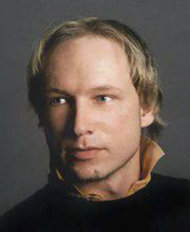 Like Timothy McVeigh, Anders Breivik developed his own paranoid political delusion that the government was dangerous. Somehow, Breivik came to believe that the Norwegian way of life was threatened by an encroaching worldwide Islamic caliphate. Like McVeigh, he worried about the dangers of immigration, multiculturalism, and the threat to Norway. Oddly, Breivik thought of the United States as a country where multiculturalism is successful. He even praised the US as a society without a corrupting welfare state. Like McVeigh, he amassed tons of ammonium nitrate fertilizer for his car bomb. Unlike McVeigh, he had a policeman’s badge, a few small arms and ammunition. Anders Breivik wasn’t operating under any foreign influence, unless we count those hateful voices in his inner ear. Unlike McVeigh, Breivik took his delusional ideations a step farther by going after the next generation of Norwegian political leaders. It seems he wanted to annihilate the Labor Party’s youth wing. Possibly, he viewed them as likely appeasers of the imagined Islamic forces massing on the Norwegian border. Perhaps, as a one-man death squad, he wanted to annihilate the quislings in the Labor government and their teenage protégés. No doubt, some Americans will focus on Breivik’s alleged right-wing beliefs, his alleged gun club membership, and his anti-Marxist /anti-immigrant blog postings. Norway is a liberal democracy that has strict gun ownership laws requiring licensing, police background checks, safety classes, and a weapons registry. Norway’s official gun registry lists Breivik as owning a Glock pistol, a rifle and a shotgun. Second Amendment Americans can rest assured that his registration did not place him in the crosshairs of a government determined to strip him of his weapons. Access to fertilizer and guns did not cause Breivik’s psychological break from reality. They were merely deadly instruments used in his rage against perceived enemies for whom he had no empathy. What has emerged from this tragedy presents an interesting profile of a domestic terrorist. Such persons become right-wing/Islamic extremists in their mid-to-late 20s. They express strong nationalistic/jihadist views in online (and offline) forums. They are strident opponents of multiculturalism. And they pretty much look like the boy next door. Needless to say, quite a few talk-radio hosts and their callers would fit this profile. I mention this only to remind readers and politicians that ethnic and racial profiling are meaningless distractions when the monsters that lurk in our society don’t look like monsters at all. Some appear innocuous-looking like Anders Breivik and Ft. 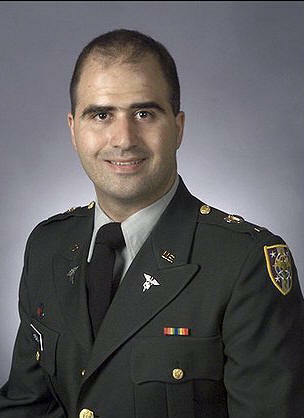 Hood shooter Major Nidal Hasan. It saddened me to hear BBC and international journalists referring the carnage as Norway’s Oklahoma City and Columbine. But like the people who survived those tragedies, the Norwegian people will emerge united, stronger and more alert to the monsters living amongst them. Throughout the history of a free people vigilance is the price of liberty. This entry was posted in Government, Public Policy and tagged Anders Breivik, Columbine, OKC, Oslo, terrorism, Timothy McVeigh. Bookmark the permalink.